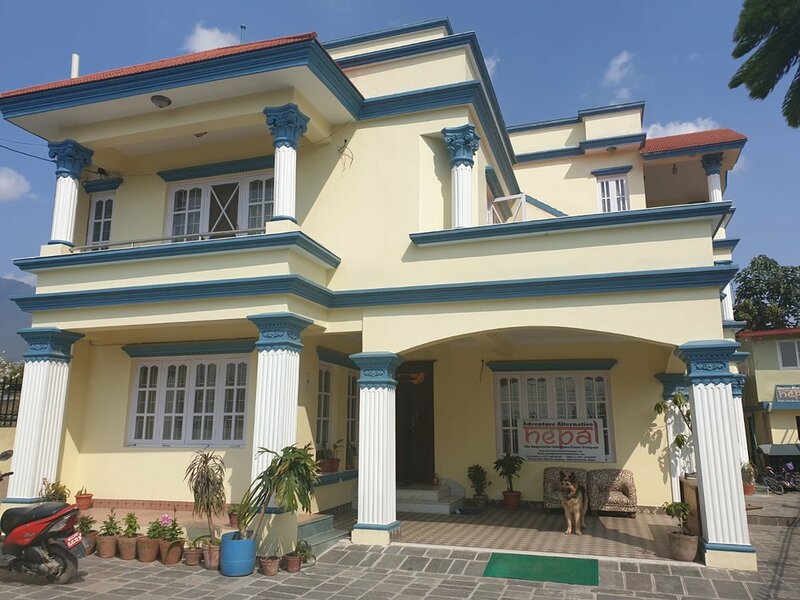 Do you want to experience a homestay with a Nepalese family? Then book your stay in the cozy guesthouse provided by Adventure Alternative. The Adventure Alternative guesthouse offers a home-from-home experience and is the base and the starting point of many of our visitors. Saraswoti and Pasang have been welcoming visitors, trekkers and backpackers over the past ten years in their guesthouse in Kathmandu. The host family lives in the house while taking care of the guests and the whole household. 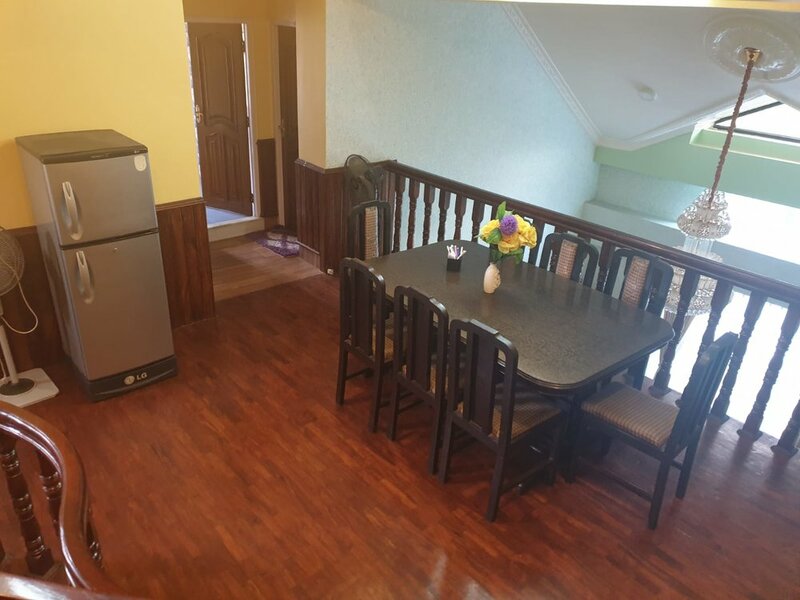 You will enjoy quality home cooking, a warm Sherpa welcome and great company in a lovely environment with easy access to the local amenities. If you want to discover the city of Kathmandu and enjoy the heart of the Nepalese culture, you can easily find buses or taxis in the city streets bringing you to the center. Saraswoti will be able to inform and help you if you have any questions or inquiries. Scroll down to discover the cozy homestay from the inside and outside ! The house has three floors, plus you can have access to the rooftop terrace which will give you a nice glimpse of a part of the city. In front of the house, a large space is at your disposal where you will be able rest, relax and enjoy the peaceful location of the house. If you like dogs, Taizen will be pleased to play with you. On the ground floor are the common areas: the living room and the dining room. Spacious and calm, you will enjoy eating and spend sometimes discussing with the family over a cup of tee or coffee. On the second floor, a comfy common area and a balcony is at your disposal if you want to read, work on your computer or simply relax. Next to it, there are two double rooms which share a bathroom. Eventually, if you want to enjoy the beautiful sunset of Kathmandu, you have the possibility to enjoy the view from the rooftop terrace from which you can gaze at part of the city. 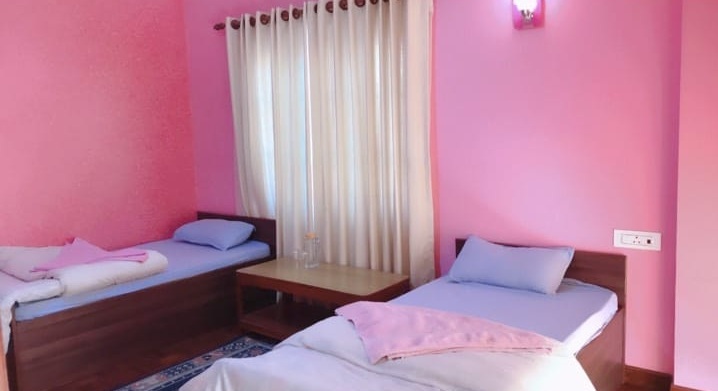 In total, the guesthouse is composed of 5 fully furnished bedrooms (1 triple room, 4 double rooms) and 3 bathrooms. Three of the rooms have a balcony. On the first floor, you will find three bedrooms : a triple room and two double rooms. There is one bathroom directly in the triple room. 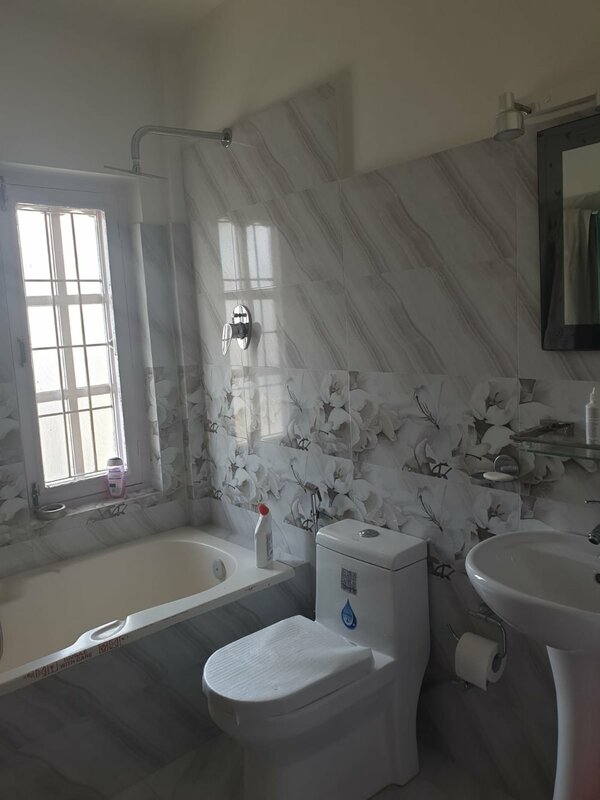 The two double rooms share a bathroom. On the second floor, a comfy common area and a balcony is at your disposal if you want to read, work on your computer or simply relax. 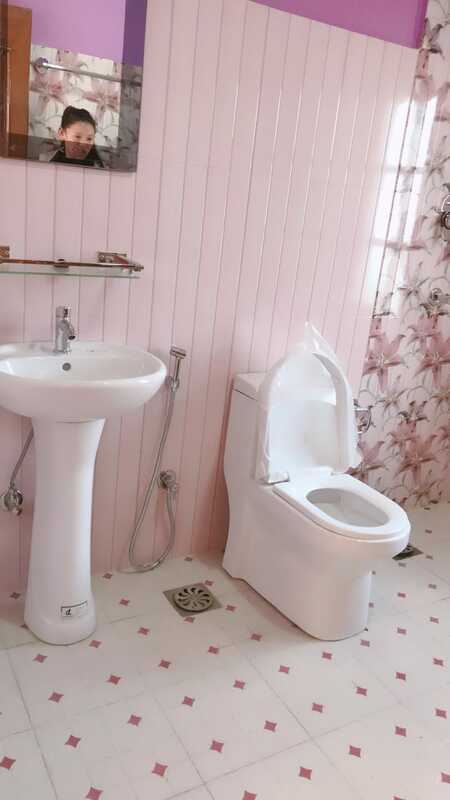 Next to it, there are two double rooms which share a bathroom. 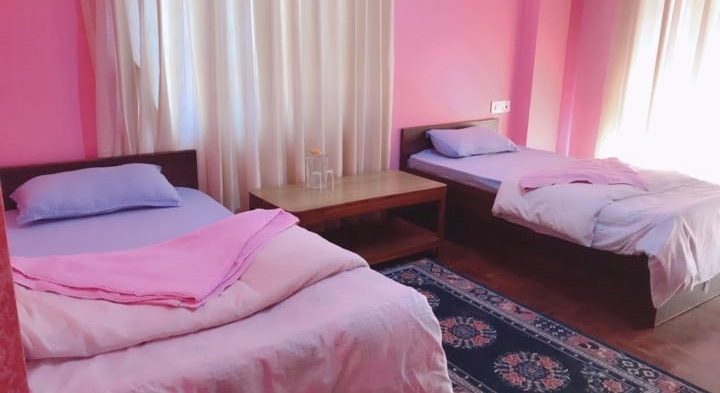 Did you already visit our guesthouse? We would be very pleased to get to know your opinion that we can make sure to fully fullfill our guests requests at any time.